We are so grateful to have partners like these! Mappers hard at work at the workshop. 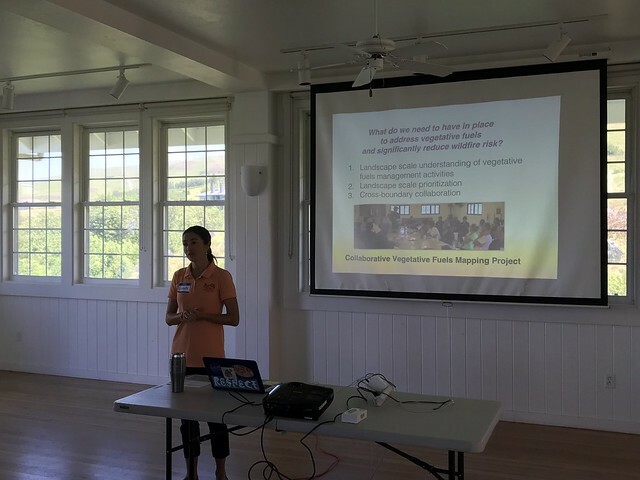 On June 19, we linked up with South Kohala Coastal Partnership for a workshop to map current and desired vegetation management activities in the South Kohala region as part of our larger statewide assessment. Activities could include any vegetation reduction or conversion projects such as roadside mowing, fuelbreaks, grazing rotations, clearing around structures or power poles, brush abatement or thinning, tree trimming, loi restoration, agriculture, and native forest restoration. The workshop took place at the homey Anna Ranch and brought together many familiar faces all working to make South Kohala a restored, healthy, abundant, and resilient place, especially in the face of growing wildfire challenges.